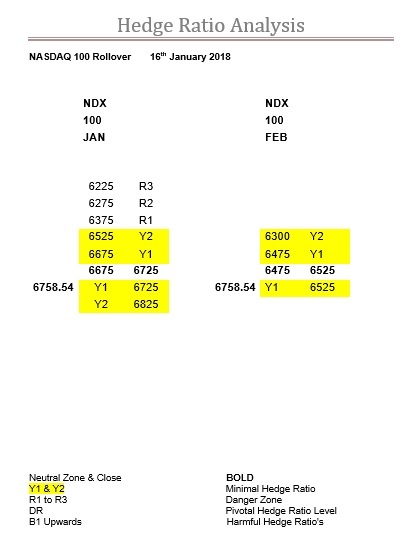 SPX , NDX and DJX today’s levels, rollover tables and comments. The story in the SPX this expiry has been the utter decimation of the ratios above the zone, which continues. Again, as we said this is about as bullish as you can get, but like an advancing army if you go too far too fast your supply lines get overstretched, although here it’s not about supply but rather support. As an indication the fall in the ratios is roughly 32%, which on a daily basis is just huge. R2 slips to 2805 today, but at this rate of decline it could easily be 2815 by the end of the day, but it is now a question of whether the rollover or expiry will bring a dose of reality. Feb in a word, shell-shocked. The start of the year is traditionally very quiet and as an intermediary to an intermediary especially so. But, when one considers, that this index is up over 100-points in the Jan expiry then Feb is struggling from the start, and if you throw heightened aggressiveness into the equation and all you got is R2 then it is virtually a clean sheet. Albeit one that goes both ways, although markets are only interested in one at the moment. Good old NDX still adding strikes right at the end, hopefully these ones will attract some activity. Friday took the NDX out of its zone, and so far, it is the only one Stateside that is even looking like enjoying a conventional rollover, so a big few days for it. Otherwise the ratios continue to build strongly below the zone, and above Y2 comes in a bit, but it is very much against the run of play, so if it gets tested it is an unknown entity. Poor old Feb in the NDX, it looks like everyone is just ignoring it. Perhaps that’s why they need to add so many strikes, just to get attention? Intermediary to intermediary, time of the year, so far too quick (for the record up 292.22-points) or all combined, but what little ratio that is present is just dire. 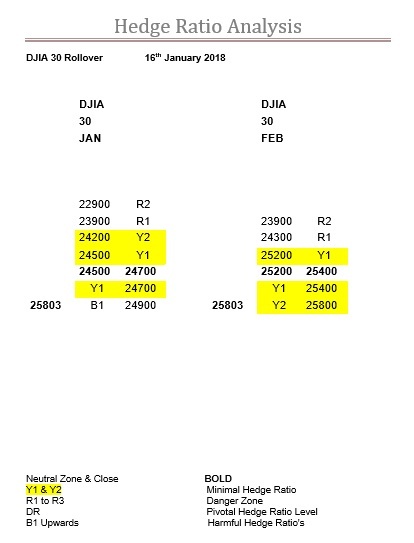 Jan was always about 24900 here in the DJX and for those who follow this commentary then this being the target was no surprise. The fact it breached it at the start of the third week was only noteworthy because we thought it may have been a bit premature. We had that minor adjustment, minor only because of the magnitude of the original position, in its own right it was a big, which caused a slight stumble, but so far, this index is up 1120-points. So, the only thing that remains is when “job done” applies. For Feb it is going to be all about whether or not that enormous position gets rolled. 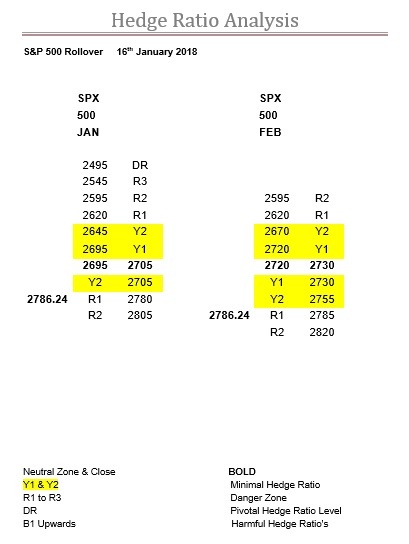 Ironically with so little ratio above the zone and the market already being on Y2 then this is an expiry that has no ratio impediment to slow the market down. Although, just like the SPX, this is a two-way street even though everyone at present is only going one-way. With havin so much content do you ever run into any problems of plagorism or copyright violation? My blog has a lot of unique content I’ve either written myself or outsourced but it looks like a lot of it is popping it up all over the internet without my agreement. Do you know any ways to help stop content from being ripped off? I’d certainly appreciate it. FTSE focus on Jan, DAX almost there, today’s levels and comment. FTSE slow to adjust but R2 drops in both Jan and Feb, today’s levels and comment.